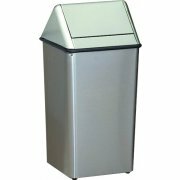 Add a touch of style to your office with swing-top trash cans from Witt Industries. 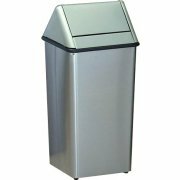 With a classy, upscale look, these trash receptacles are the perfect solution for a wide variety of reception areas and corporate settings. 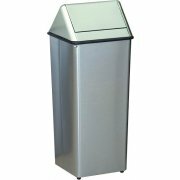 Quality metal construction is highly durable and easy to clean, with a swing-top opening for hands-off waste disposal. 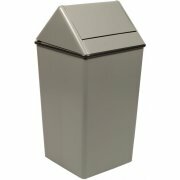 The unique "flame-out" design smothers fires instantly for extra safety, especially in smoking zones. 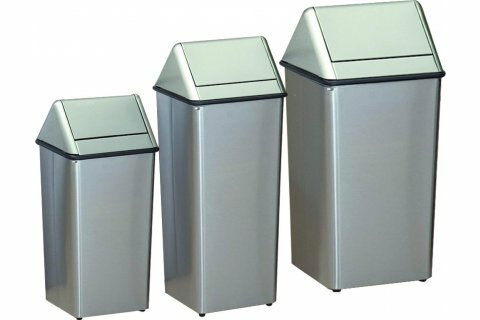 With a range of colors and sizes to suit any taste or budget, these swing-top trash receptacles prove that trash cans don't have to be a throw-away item.